*Leave a comment below through the end of Monday, April 23, 2012, to be considered for the random giveaway explained below. I hope you’re enjoying Earth Day and doing something to better your impact on the planet. Over the years, I’ve come to realize what’s important on this site is not to criticize others for not doing this or that but to curate and share good insight as much as possible. And the insight I’m most optimistic about for the future is green prefab. 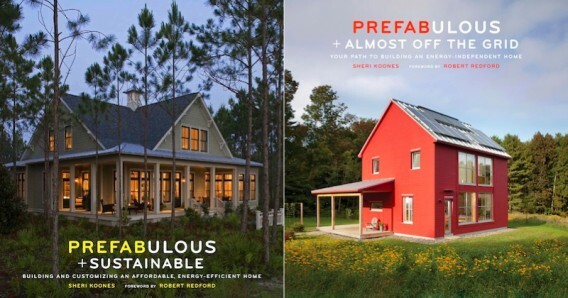 So I’m going to give away 10 copies of a great prefab book called Prefabulous + Sustainable by Sheri Koones. But that’s not all. You may know Koones is hard at work on a second book about prefab called Prefabulous + Almost Off the Grid. When that comes out in about October 2012, I’ll also ship a copy of the new book to the above 10 winners of Prefabulous + Sustainable. All I ask is you keep me informed if your address changes in the mean time. [+] Prefabulous + Sustainable by Sheri Koones – $25.00. [+] Prefabulous + Almost Off the Grid by Sheri Koones – $24.95. *To participate in this giveaway contest, leave a comment here by midnight MST on Monday, April 23, 2012. One comment per person; use a valid email; available only in the United States. By leaving a comment, you agree to the terms and conditions relating to giveaways on Jetson Green. We are looking at a off the grid prefab in 2013. I’ve heard about that book, and been meaning to add it to my collection. Thanks for such a great blog. Thanks, Preston! Prefab is a great way to make building new green homes affordable. I hope we get more green prefab builders in the Great Plains. One of the drawbacks of buying prefab in this area is the large shipping distances from manufacturers on the coasts. We are evaluating SIPs next week with a sustainable builder in our area for our addition. I’ve been reading your blog for years. 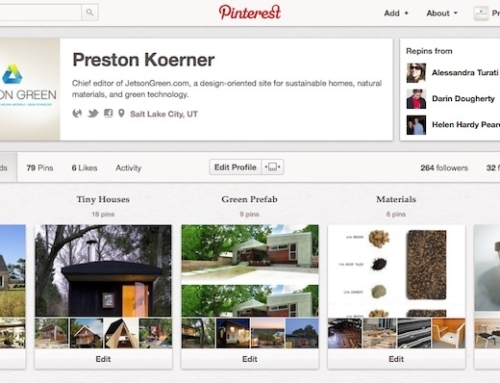 What a great collection of sustainability information and inspirations. Thanks. I’d love the book! I really enjoy Jetson Green and this book looks awesome. Happy Earth Day Everyone! Please feel free to send me a copy if any are still available. Thanks! 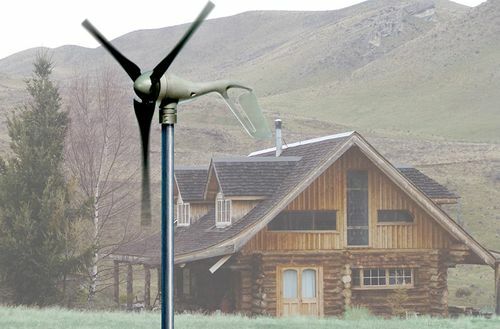 I just put Pre-fabulous and almost off grid living on my wish list. Great choices for a give away, exciting. I have all of Sheri’s books and can’t wait for the next one. Prefab and green is the wave of the future. Her work is educating the world and making a difference. Prefab is evloving from a niche to mainstrem and Sheri is fueling the evolution. We love this idea. We are going off grid as soon as possible. We want these books. My favorite thing about contemporary prefabs is they look nothing like prefabricated homes. Most look like architect designed homes. As someone that has done a full renovation on a 1800’s place making it more energy efficient (solar water, spray foam ceilings, screen porch, no AC) I look forward to my next house which I hope will be Passive design with Solar PV! Love this web site, some great designs and ideas. Thanks for the heads up on these books, they look great. Keep up the good work! We are considering prefab construction for a lot we just purchased in Asheville, NC. This book looks like something we would gain inspiration from. I’ve been following your website for a while and enjoy the insight you’ve provided as we considerer our future home. It’d be great to have these books as inspiration. Prefab and green – what could be better? These books are inspiring me to think beyond a prefab second house to a prefab primary house. Would especially love prefab and off the grid in Emigration Canyon! I agree that Prefab will become the future of homebuilding. Once the first of this Country’s national homebuilders also comes to realize this things will really take off. The swing away from McMansions is well under way. Now the pre-fab folks just need to prove that their offerings are just as good “as a regular house” and are also within an affordable range. How do we get a few major developers to go fully pre-fab? That would get us over the believability hump. Come on people! Planning on building a house in a few years and prefab is right up there with straw bale as the material I’ll use! I am happy to have found this webpage and look forward to reading about the new green buildings. Our family would enjoy receiving the Sheri Koones books but if we are not selected we are happy to the people who do! Thanks, Preston. Today (Earth Day) we are retrofitting our kitchen for solar. So excited about this because we will be one of the first in our upstate NY neighborhood. Love prefab and getting as close as we can to moving away from fossil fuels. I am following all the prefabs for my future retirement. The books will come in handly. I live in the middle of Illinois. 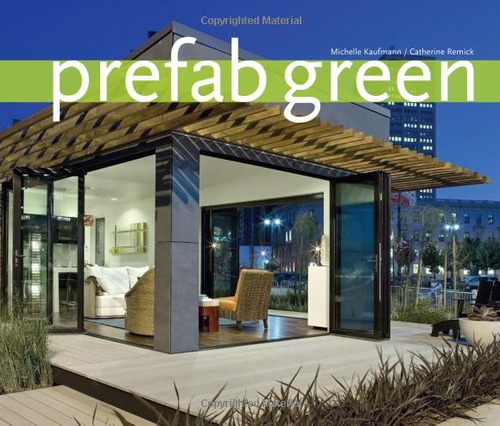 Prefab and green are both new concepts here. I want to create the possibility of both for my community to see, appreciate and want as their own. I just found this newsletter a few weeks ago and I am already anticipating each issue. My attitude has some ambivalence and skepticism about many of the companies and their products that I see. Nevertheless, I am confident that these are emerging trends that should be very good for the housing industry and the informed consumer. To celebrate Earth Day we planted (8) trees today on our urban block here in Philadelphia, where there’s a great pre-fab company starting construction on a series of houses. I’m not sure if we’re too late for the book give-away, but enjoying your blog as always. I have been doing a lot of research on building a green house in a suburban neighborhood. This website is excellent for ideas and info and presenting this book is just another great example of that. Thanks for pointing out this book. Happy Earth Day – great articles. I’ve been long interested in simple sustainable efficient architecture and am particularly interested in building techniques afforded by systems using SIPs. for all the good work you do. I’d enjoy these books a lot! I am Board president of a local affordable housing nonprofit that rehabs 7-10 houses per year. As federal funding changes ( and the board) we are looking a prefabs as a way to bring quality affordable housing to urban infill in Louisville Kentucky. Your posts are already serving as a resource – we send links around to the board to bring them up to date, and try to convince them that today’s super efficient houses are not your father’s old solar places from the 70s. The books would be a great help to remind and make real the idea that we need to make affordable housing efficient and attractive – leading the way for more and better urban neighborhoods. Friends are doing the ‘off grid’ thing and are struggling. This might make a great gift for them. Thanks to Jetson Green for bringing Modern, sustainable, and usually affordable building to the planet! Just attended the NYC Green Festival to explore ways I can take my career into a more Earth conscious direction. Thanks Preston for your hard work and dedication to green prefab! Preston- I subscibe to a fair number of online newsletters and update services–many are rather bland and can also be annoyingly redundant. 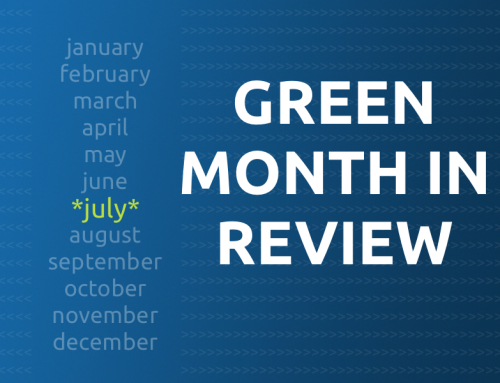 Jetson Green is always fresh-plus informative in a very open manner. I think the key to your sites’ appeal is that it’s personal, and you also tell a good story. I think many authors are forgetting that we are designing and building homes for people-our beloved friends and clients- and not for an assemblage of HERS raters and BPI building analysts. I hope you continue with this excellence and very informative writing and reporting. Keep up the good work with your Jetson Green information! It’s prefabulous! Preston, thanks for your tireless enthusiasm for all things sustainable, and for letting us know about these great-looking books! Thanks for your website and work! I have found it a great resource as I plan our next home. I’d like to see articles/info on SIP’s and what they’re made of, especially the OSB regarding longevity – good and bad – and also on postframe / pole buildings. 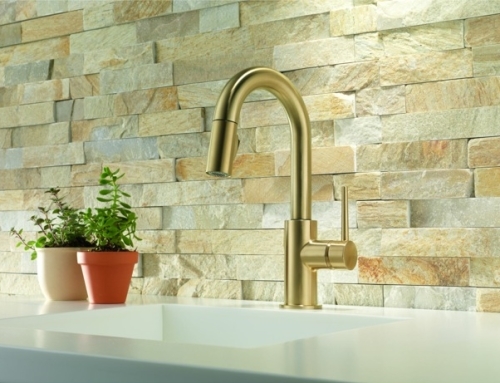 We are in the process of searching for a simple and durable off gridish home. Prefab would be great, but is anyone actually selling a reasonably priced prefab? I really enjoy Jetson Green and stop by every day to see what is new. Prefab is the way to go, everything is put together in a controlled environment. I would appreciate a copy of that book. Great work as always…books look very informative. Thanks, Preston! It’s good to see more of this sort of literature out there for those of us who are looking for ideas and inspiration. Would love to have these books. I always enjoy seeing what’s possible. Preston, thank you for all your efforts to find, collect, and distribute relevant news to the community. Yours is one of the best green residential blog/news site I have found. Thank you for all your efforts to bring forth news about latest developments in energy efficiency and innovative housing. I enjoy the information you share! I have the original book and it is a great book. I just found this news feed and it is everything I wish for my life and my community’s. Keri it coming, it gives me inspiration to do more. I’m getting the impression that prefab, is pretty much geared at putting architects out of work. 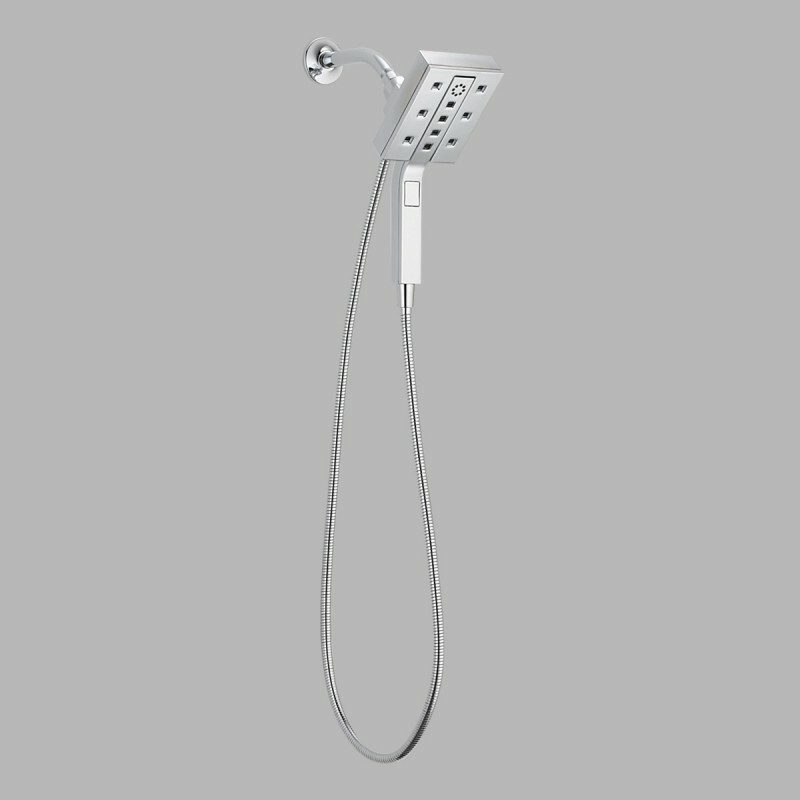 We have spoken with many companies and they all seem to have their in house designers and more or less standard designs. Some who specialize in building parts, like walls, are able to work with an architect and a custom design, but it seems the trend is towards building homes like cars. A few designs fit all. Not unlike tract housing I suppose. 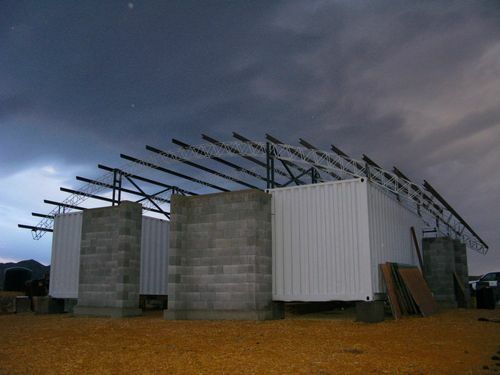 It is interesting to note that on site construction can be every bit as green as factory built, often less expensive. The main advantage of factory built homes is that site construction time is generally much less. Awesome! I hope you (& Sheri) continue the great work show everyone this great movement in architecture/home building!